A car purchase is an important one for most people. Not only is it a costly purchase, but it's one where no one wants to make a bad choice and overpay. After all, this isn't like saving a few cents a gallon on gas. Because so much money is involved, people are more willing than ever to purchase a car in a non-traditional way if they feel like they're saving some money. This means that if you have a car to sell, you're going to have plenty of opportunities—as long as you set yourself up for success. Even if the vehicle isn't worth much, you might be surprised at how many requests you have for the vehicle. If it's a safe car that runs well, some people may be looking for an inexpensive car for a teenage driver for school, for example, and car dealerships rarely carry cars in such a low price range. I can speak firsthand to this. I recently sold my child's first school car that looked awful, had a ton of miles on it, but still ran well. I just wanted to sell it quickly, so I took it to a dealer to get an offer. No dealers wanted it. I finally received a low-ball offer from a parts salvage business. My wife convinced me we could receive more by selling it on Craigslist, and we sold it in several days for nearly quadruple the offer I had received. (Moral of the story: Always listen to your wife.) Some people don't care what a vehicle looks like; they just want a car that runs reliably. Before selling your car, you need to do a bit of legwork. Here are five quick tips to make sure you're receiving the best possible deal and that you have your car ready to go. Find the Paperwork: Make sure you have your car's title on hand. You must have this to sell the car. If you have misplaced the title, you'll have to visit the DMV to obtain another copy. Do You Own the Car? If you still owe money on a car loan, you don't own it fully yet. (You won't have the title, either; your lender will have it.) You will need to contact your lender and explain that you're planning to sell the vehicle yourself, and see what steps they want you to follow. Figure Out Its Worth: There are multiple tools available on the Internet that can help you estimate the proper value of your car, such as sites like Kelley Blue Book and Edmunds. Be realistic about the condition of the vehicle, as any buyer will also be using these tools to make sure they're receiving a good deal from you. The retail number you'll receive is the price you can expect to pay at a dealer, so your price should be a little less than this price. Additionally, look through vehicle advertisements to make sure you're pricing your car fairly compared to others in your local area. Clean It: Even if it's a clunker, wash the car and clean out the interior. Make the car look as nice as you can without spending a bunch of money on it. If you can fix a few broken cosmetic parts yourself for a small investment, it'll pay off. Prove the Condition: If your regular mechanic is willing, consider asking for a "bill of health" that you can present to a potential buyer that explains any recent repairs and the condition of the car. Have proof that you've cared for the vehicle well, including a list of oil changes performed. If you've recently purchased new tires, headlights, or a battery, have proof of that on hand. With the preliminary work done, here are the best methods to use when selling a car privately for cash. If you aren't very enthusiastic about selling your car to someone else and dealing with the time and hassles that entails, you do have the option of selling it to a car dealer. This is the easiest way to sell your car, but it may not result in you receiving the most money for the car. Make sure you know the value of the vehicle before you go to the dealer and how much you plan to ask. If the dealer offers you an amount that's nowhere near what you think you can receive by selling the vehicle privately, you can always say no to the dealer. 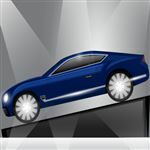 If the dealer believes it can receive a good value for the vehicle, the salesperson may give you a good price. This process can be time-consuming, as salespeople like to negotiate and keep you in the office as long as possible, so it may not be worth your time, as it's not likely you'll receive a great price. But it does work occasionally. TIP: Understand that if you're looking to purchase a different car, the dealer will attempt to treat your car as a trade-in, which makes it easier for the dealer to move some numbers around and make it look like you're receiving a great value on your current car. If you don't want to play the numbers game, just tell the dealer you only want to sell your vehicle, not trade it in. Based on the numbers you hear from the dealer, you can always change your mind later. If you want to sell a car fast, and you don't want to spend a lot of time haggling with a salesperson, a dealer with a heavy Internet presence like CarMax or AutoTrader is a smart option. Such sites will allow you to set up an appointment to have your car appraised at the closest participating dealership, which should take less than an hour. The appraiser will then give you a written estimate, which you can either accept or reject. If you want to receive the most money possible for your vehicle, selling to a private party is the best option. This is the most time-consuming as well, and it can be a little scary, but it will give you the biggest profit. The best way to sell a car to a private party is to advertise it in as many places as possible online, as well as using social media. Let people know on social media sites that you have a car for sale. Start with places that don't charge you any money to advertise, like Craigslist or eBay Classifieds. If you can post photos, it will help you sell the car. If you have a more expensive car to sell, you probably will want to spend a bit on advertising at sites with greater reach, like AutoTrader or Cars.com. Places like Carvana or AutoNation also can help you find buyers for a fee. Understand that if you're trying to sell a pricey, newer car, it almost certainly will take longer than if you're selling an older, inexpensive car. 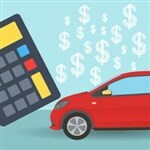 Before allowing someone test drive a pricey vehicle you're trying to sell, you may want to ask them to prove they have qualified for financing or have the cash on hand. Now for the scary part. You will be contacted by people you don't know, some of whom could be scam artists or worse. Most people are trustworthy, but you may encounter someone who isn't. Just be aware that this is possible with this type of transaction. Here are six safety tips you can use. Before meeting someone to look at the vehicle, speak with them on the phone. Ask some questions, and you should be able to gain a feel for whether they are legitimate within a few minutes. Never set up a meeting with someone over text or e-mail alone. If you don't feel comfortable after speaking on the phone, just refuse to set up a meeting. You will have to allow test drives as well. You may want to contact your vehicle insurance company and make sure you're covered if someone has an accident with your vehicle during a test drive. When the buyer requests a test drive, if you don't feel comfortable letting the car out of your sight, you can—and should—ride along. Only give the potential buyer the car key for the test drive. Don't give them a key ring with plenty of other keys on it. Make sure the buyer knows up-front which type of payment you prefer. Some of the safest forms of payment are cash, a cashier's check, or a money order. Never accept a cashier's check or money order for more than the agreed-upon price, where the buyer asks for a cash refund for the difference. Offer to meet the buyer at his or her bank to complete a high dollar value transaction. Never accept a personal check, and be wary of a buyer who demands to use an escrow service. Additionally, some buyers may want to take the vehicle to a mechanic to have it inspected, so if it has major flaws or problems, you should just be up-front about them and take them into consideration when setting the price. Understand that some people will want to haggle with you on the price. Don't be offended by this. If you want to counter-offer, do so. Or reject the offer and wait for a better one. You're in control of the situation. Here are some tips for haggling more successfully. The Subtle Haggle: Some people will not overtly haggle. Instead, they may ask for your "best price" or try to act like a minor ding on the fender is a deal-breaker. This is more of a ploy to make you reduce the price first, and then they can begin to haggle from the new, lower price. If you feel comfortable with the selling price you've set, don't give in to this subtle pressure to lower the price. Just tell the potential buyer that the price is firm or tell them to make an actual offer first. Negotiating Sight Unseen: Never negotiate a lower price with someone over text or the phone when they haven't seen the vehicle. Again, they're just looking to force you to lower the price so they can begin haggling from the new price point. Think in Percentage Terms: Think about whether haggling is worth the time too. If you're selling a car for $2,000 and someone is haggling over $50, a 2.5% difference shouldn't be a deal breaker. But if they're haggling over $250, that's more like 12.5%, so this takes a much bigger dent out of your profit. Finally, you will need to give the buyer a bill of sale, along with signing over the title. Look online for examples of bills of sale for selling a car for your state that you can use as a model. You will likely need to include the date of sale, the odometer reading, the purchase price, and the vehicle's VIN (vehicle identification number) at the very minimum. The VIN should be on the title and on your insurance card, or you can read it from the sticker on the vehicle itself. Selling your car yourself doesn't have to be a nightmare. Make sure you've done your homework before you start the process. Think about whether it's more important to sell it fast with the least time involved (understanding that you'll give up some profit) or whether you want to make the most money possible for the sale, and then pick the method of selling the car that'll help you successfully meet your goals. Share on Facebook "Best Way to Sell a Car"